Blizzard Dakota skis, 170 length. 133 tip, 108 waist, 121 tail. Marker Griffin bindings are 13 DIN. Skis have only been mounted once. Stiff, light weight, and powerful ski. 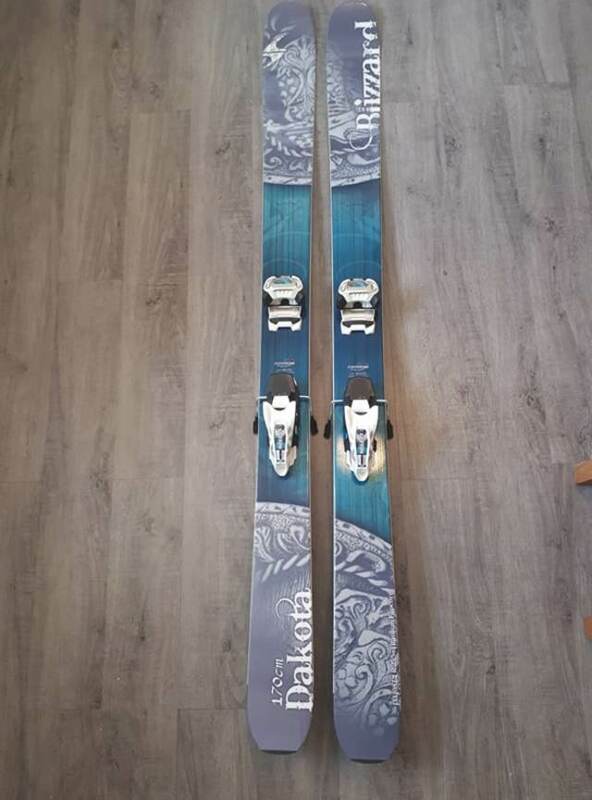 Would make a great touring ski if you wanted to swap out the bindings. Skis and bindings are in excellent condition and have barely been used. A big mountain ski for daring women who spend as much time hunting out untracked powder lines as navigating narrow tree runs and ripping groomed snow. A double titanium layer together with a bamboo wood core and the Flip Core 3D Rocker technology provides a light-but-burly ride that helps the advanced skier master the toughest terrain. A hard-charger with a fun-loving side, the Blizzard Dakota delivers first class turns on every part of the mountain worth skiing.